I’ve been away so much over the last few months, that I haven’t been around my local area to do any birthday parties for a while now. So it was nice to be invited to help James and his friends enjoy his special day with a canoe party in Ellesmere. His parents had opted for a late afternoon session, to be followed with a party tea and a sleep over – very brave! So it gave me plenty of time to get everything set up and ready for their arrival at The Mere at 3pm. Once we’d got everyone togged up with buoyancy aids, helmets and paddles, we got on the water as quickly as we could, to make the most of our time. 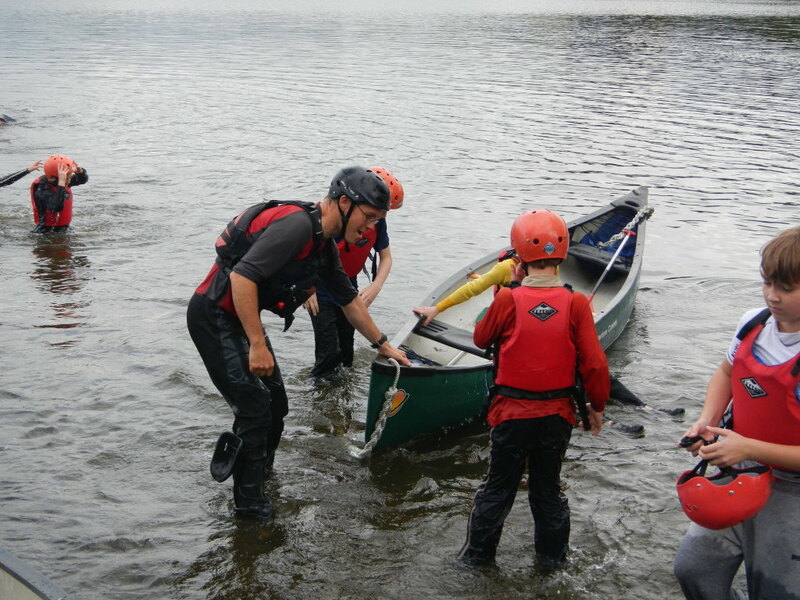 One of the boys was a bit too nervous to get in a canoe to start with, so we based our session close by so that he could join in as and when he felt able. 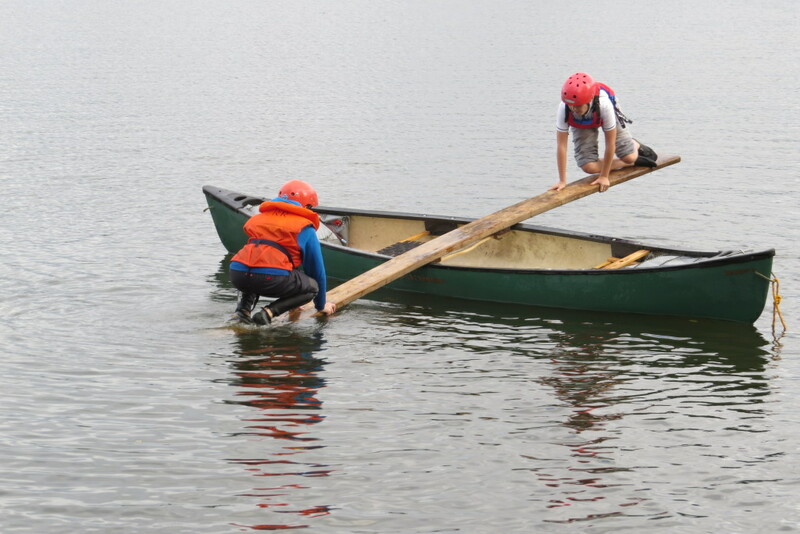 We spent a little while trying to develop enough skills to be able to control the canoes enough to enjoy the session, before launching into a variety of games and challenges. We had a round of tug of war with canoes, which was very noisy and wet, then quietened things down a bit with a silent stalking game which proved very difficult for some that couldn’t keep their tongues still! A number of ball games where thrown in for good measure to increase the competitive edge to the afternoon, before we finished off with a number of challenges with an increased likelihood of getting wet. The canoe See-Saw came out and saw a fair bit of action but, by this time, it seemed that everyone just wanted to get wet. The challenge of completing a forward roll in the water while still wearing a buoyancy aid was well received, but no one actually managed it – maybe next time. I love it when I get invited to birthdays, and a canoe party is one of my favourites. I just have to go with the expectation of getting very wet! Thank you, James, for having me along. Have great birthday.